This Ted Baker suit is exclusive to Moss Bros, and comes in a classic Tailored Fit cut. 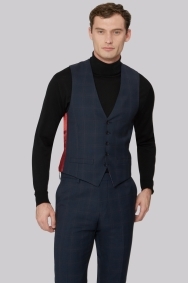 It has a Blue Orange Check fabric, which sits perfectly against Ted Baker's signature lining. I thought it was going to be big as ordered 42 but its tailered fit as it says. Beautiful suit but had to return the whole order as the trousers didn't fit and had non of the bigger size left. 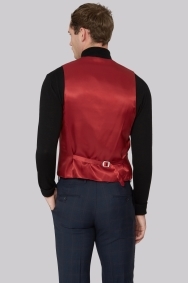 Fantastic waistcoat i love it cant wait to wear it at Southwell races ladies day next month. Suit was fine, but following my experience I will never use this company again!! Very nice suit no complaints. Smart, comfortable and very well made.